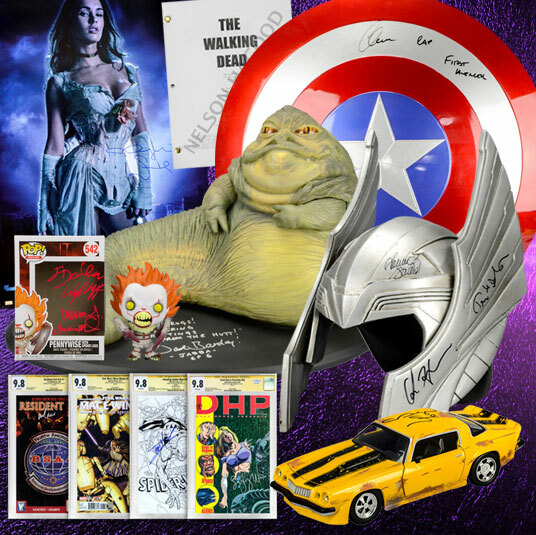 Our Premium Auction will take place Saturday, February 16th featuring exceptional Screen Used props and wardrobe from fan favorite films and franchises along with a selection of never before seen autographed pieces from film’s finest. Live Online portion will start at 2:00pm EST on the 2nd. If you haven’t already done so, Register now to receive updates and plan to add some truly fantastic pieces to your collection. Only screen or production used/produced items will carry a 20% Buyer's Premium which will be added to the winning bidder's invoice.